Thanksgiving is such a wonderful time of year. It is a time of transition, and preparing the body, mind and spirit for slowing down and tuning in more internally. Both literally and figuratively, it is a time to take stock of what has grown from the seeds we have planted, and decide what we will create and what we will discard. 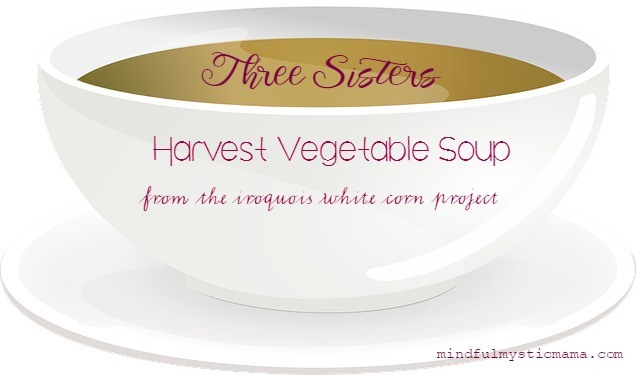 I have received this wonderful soup recipe from Nick Polizzi at The Sacred Science. I love the name of the recipe not only for the delicious ingredients, but also because it is the name of a range of mountains near to my home. Wishing you and your family a fabulous Thanksgiving! “Up here in the northern hemisphere, we’re entering a beautiful time of year when the weather remains warm even as the colder months approach. In the States, we call it “Indian Summer”, but this is experienced by many countries across Europe and Asia as well. In Germany, Austria, Lithuania, Estonia, and Finland this warm period of autumn is called “Old Women’s Summer”. Prepare ahead hulled corn. See directions here. Warm the oil in a large soup pot on medium heat. Add onions, celery, and garlic. Saute 10 minutes on low heat. Add basil and cumin, salt and pepper to taste. Add squash, carrots, parsnips, and tomatoes. Simmer until tender. Add beans and corn, simmer for another 10 minutes. Add vegetable broth and simmer on low for 10-15 minutes. This sounds like such a comforting meal!